Maurice Cox served as Mayor of Charlottesville from 2002 to 2004. He was an architect on the faculty of the University of Virginia. Cox is a former design director at the National Endowment for the Arts and a two-term City Councilor. 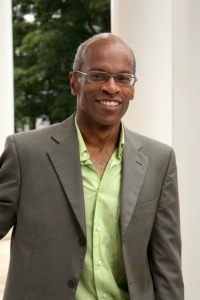 In August 2012, Cox left Charlottesville for New Orleans, where he accepted the position of associate dean of community engagement at the Tulane University School of Architecture. Cox was born in New York City and received a Bachelor's in Architecture from the Cooper Union School of Architecture. He taught for six years in Florence, Italy as part of Syracuse University's Italian Program. In 1993, he moved to the University of Virginia as an Assistant Professor of Architecture. In 1996, he co-founded the architectural practice of RBGC Architecture, Research and Urbanism with partners Craig Barton, Giovanna Galfione and Martha Rowen. Cox served as Mayor of Charlottesville from 2002 to 2004. Cox ran for City Council in two elections, both as a Democrat. Cox took a two-year sabbatical from the University of Virginia's school of architecture to serve as design director at the National Endowment for the Arts. ↑ Web. Big Easy bound: Cox embarks on New Orleans adventure, Courteney Stuart, The Hook, Better Publications LLC, 3 August 2012, retrieved 3 August 2012. ↑ Web. Letter to Maurice Cox, Michael E. Duggan, City of Detroit, February 5, 2015, retrieved April 22, 2015. ↑ Web. Mayorsville: Here, everybody's a mayor, Lisa Provence, The Hook, Better Publications LLC, 10 Aug. 2006, retrieved 2 May 2009. ↑ Web. Charlottesville City Council meeting minutes, .pdf, Council Chambers, City of Charlottesville, January 21, 2003. ↑ Web. "Following NEA stint, Cox returns to architecture faculty. ", Harding, Cathy, C-VILLE Weekly, Portico Publications, 22 Dec. 2009, retrieved 22 Dec. 2009. Print. Dec 22-28, 2009 , v.21 no. 51, page 9.